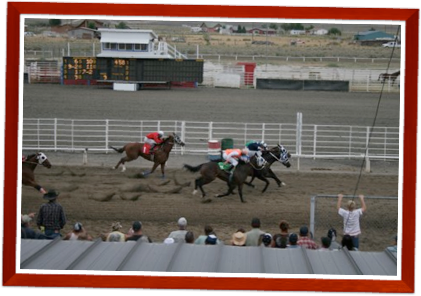 Amazing photo of the dead heat finish in AQHA race #9 on Saturday August 22, 2009 at the White Pine Horse Races. (c) Copyright White Pine Horse Races. 2011 - 2014. All Right Reserved. Web Design by: www.joshnicholes.com. Contact Webmaster.